J. 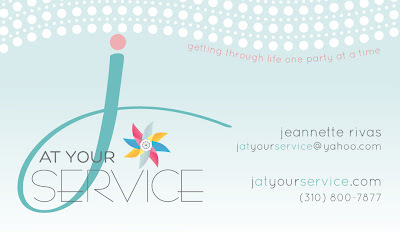 At Your Service: Biz Cards!! For a few months now, I've been working with the talented Michele of Intrigue Design Studio (chick who designed this new layout) to create business cards for me. I've come to TOTALLY love Michele and her work! She's seriously the most awesome person I have ever worked with. And after so much time of lagging to actually print the design she created for me, I finally did it. I love that the cards match my sites look as well. I had to share with you all my snazzy new business cards. A special thanks to Michele for her creative work and patience with me :) You're the best!! You made me blush! Thanks friend!